It's always around this time of year that my wishlist seems to get excessively long. I'm all for layering, boots and anything warm and cosy in general, so autumn and winter fashion trends just seem to fit my style perfectly. I often find myself on ASOS eyeing up the new items during winter and one of my favourite ways for me to organise all my online shopping is using Wakelet: the perfect tool to keep all of your shopping in one place. Wakelet is completely free and is available online as well as on iOS and Android as apps so you can organise your shopping on any device! Wakelet also has a browser extension which you can download by clicking here. What I love about Wakelet compared to the shopping baskets on websites is that you can organise all your shopping from various sites altogether in one place. It makes it much easier to pick and choose your favourite items to purchase! It also means you can keep track of any items you see online that you want to buy later so you don't miss out on purchasing them. Here are a few of the wakes I've made based on different 2017 winter fashion trends. Click here to view my wake. Red is definitely the biggest trend this winter and luckily it's not too hard to pull off. I'm not quite brave enough to go for the head to toe red look, but I do have my eye on a few red items of clothing/accessories to add a pop of colour to my outfits. 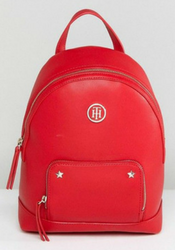 One of my favourite ways to add colour to an outfit is through accessories which is why I think this Tommy Hilfiger backpack is perfect! I also came across this gorgeous smock dress on Asos which could look so cute with boots or these block heel sandals! The metallic trend has been around for quite a few months and it doesn't seem to be going anytime soon. 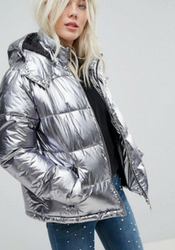 There are still so many gorgeous metallic pieces available such as this padded jacket from Miss Selfridge which will definitely make a statement whilst keeping you warm. I also came across a pair of metallic converse recently and I have been eyeing them up ever since. 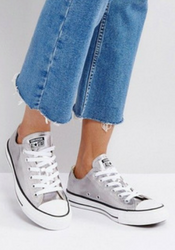 They would be perfect for dressing down this metallic skirt from Asos. Basic t-shirts have been everywhere recently, especially slogan tees. This one from Wildfox is one of my favourites and it adds a pop of colour to your outfit too! 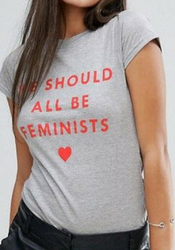 Boohoo do some really nice slogan tees such as this feminism one which I really like. 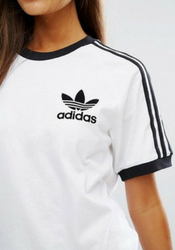 Oh, and you can never go wrong with a classic Adidas t-shirt! 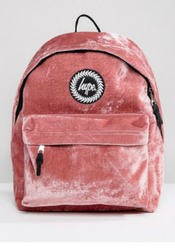 Velvet will always be one of my favourite trends... purely because it's so soft and comfortable. 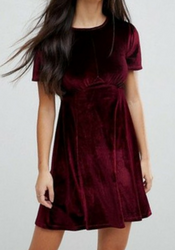 I came across this burgundy tea dress on Asos and I think it's the perfect dress for dressing up for a Christmas party, but also casual enough to wear with a leather jacket and converse! 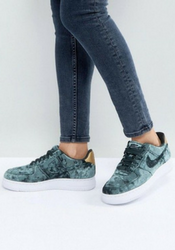 I also found these velvet Nike air force trainers and I'm actually obsessed... I need to get some velvet trainers now despite the fact they would definitely be impractical considering how much it rains here in the UK. 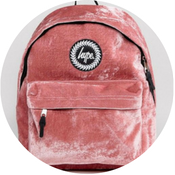 Speaking of impractical, velvet backpacks are also on my wishlist at the moment... definitely not waterproof, but very cute. Click here to see my wake. Boots never fail to make it into the top trends every single autumn/winter and every single year I manage to find a good few more pairs to add to my collection. 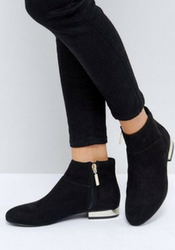 I've been wanting a pair of Stuart Weitzman boots for a while now, but they are far too pricey and these boots from Asos are too good of a dupe to resist. I've always been a fan of flat ankle boots so these ones with a small, gold heel caught me immediately! They would be perfect to wear with skater/smock dresses. Recently, I've become quite fond of hiker style boots like the classic Timberland ones. 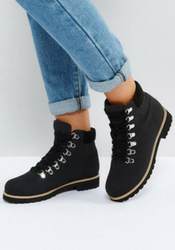 The Asos Adriana boots are a slightly different style to the Timberland boots, but I love them just as much and they are so much cheaper! What's your favourite winter trend? 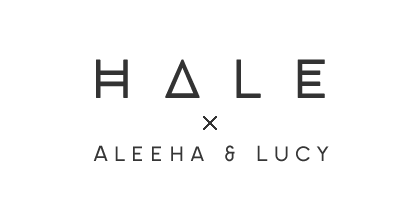 We worked in collaboration with Wakelet to create this post. Finally, thank you to Asos for letting us use their images, all photos belong to them.